We offer a range of support systems and services to help you at UON. We help you get into the degree you want. When you are here we provide all the support you need to get great results and balance study, work, family and social commitments. When you are finished we have programs to help you get a job or embark on further study. Student Central are your first port of call for getting information about your degree, completing online forms, getting a parking permit or getting help with a uni issue. You can also access the internet or catch up with friends in the café. Student Central are located at most of our main campuses. Our University of Newcastle Legal Centre (UNLC) is both a community legal service and a teaching facility for law students. Free legal advice is offered to students at both Newcastle and Central Coast campuses during University semesters. Our Careers Service is a great way for you to access free information and advice about careers, study and employment. Careers counsellors are available to help with the critical things employers are looking for such as a well-prepared résumé and a great cover letter. They will also provide you with information about potential employers, salary, labour markets and professional association contacts. The service has connections with thousands of potential employers and last year advertised approximately 1,700 job vacancies to students and graduates. UON Peer Mentors are current students that are eager to help you adjust to uni life, get to know your campus, find the right support services for you, and generally share their own experiences. New students can have access to a UON Peer Mentor to help with the transition to university study. Mentors will be available to help you through the orientation period and for the first six weeks of semester until you settle in. Find out how to request a UON Peer Mentor. Orientation is a great opportunity for you to discover campus life, explore the campus and meet staff and students. During Orientation we offer a wide range of information sessions, tours, academic workshops and social activities to help you connect with your new community. Have a look at the New Students section for more information. If you need to brush up on academic skills, expand your understanding in a particular subject, or simply become more uni-ready we offer bridging courses called UON Prep. Taken in late January through to February before you start your degree, these courses are designed to give you the knowledge and insight to be successful in your uni studies. Check out the range of UON Prep courses offered to see what might be useful for you. Get practical study help from current students with our peer assisted study sessions (PASS). The program involves one hour weekly review sessions for you to compare notes, discuss difficult concepts and review weekly material with other students. These sessions are run by a student PASS Leader who previously achieved excellent results in the particular courses (subjects) you are studying. Getting used to writing essays and sitting exams at university can be a bit of an adjustment. Our Centre for Teaching and Learning provides self-help resources, drop-in clinics, workshops and student consultations to help you out with anything academic. You can even email a draft of your essay to one of the qualified learning advisers to provide feedback in terms of structure and trends. Help is also provided for more general study skills like referencing and study techniques. We offer programs to help students build basic English and mathematics skills. We also have diagnostic tests to measure your level and determine where you need to improve. If you are keen to study an undergraduate degree at UON, we have several entry help and adjustment points schemes to help you. If you don't have the marks to get into your chosen degree you can complete an alternative entry pathway such as Newstep, Open Foundation or Yapug. We have chaplaincy services at both the Newcastle and Central Coast campuses. Chaplains offer compassionate help in all situations and support the spiritual life of the University. Chaplains are experienced, credentialed, religious-workers who are authorised by their faith tradition to provide support and guidance. Our chaplains also have roles in their church communities and in the wider community off-campus. Things they help students with include pastoral care, life decisions, conflict resolution and general spiritual guidance. They also offer Justice of the Peace services. We provide a range of scholarships to help you with the costs of university study. 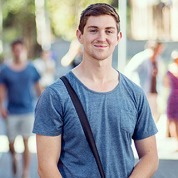 Our scholarships range from $500 right through to $15,000 per year. A scholarship can help with all kinds of study costs including textbooks, fees, accommodation and living expenses. We also offer a Student Loans Scheme to provide interest-free emergency loans. These loans are offered on a short-term basis to students who demonstrate genuine need and whose continued study might be placed in jeopardy if assistance were not available. For more information about costs see Financial Assistance. Our seven state of the art libraries are designed to be spaces where you can learn, research, explore and create. No matter what you study or at which campus, you will have access to more than 1.3 million items including 380,000 books and eBooks and over 80,000 electronic journals. You can also make requests for information via SMS, email or phone 24 hours a day. This means you can tailor your study to fit with your life and work at any time of day. Our libraries also have great informal work areas called information commons where can you meet friends, collaborate, prepare for exams and finish assignments. These bright, lounge-style learning spaces are at Newcastle City precinct, Newcastle and Central Coast campuses. The commons are equipped with computers, individual work spaces, laptop and printing facilities, lounge areas and cafes, as well as staff on hand if you need help. We have been at the forefront of Indigenous education for 25 years, actively supporting the aspirations of Indigenous people through study and employment opportunities. The Indigenous Tutorial Assistance Scheme provides qualified tutors to help Indigenous students with their studies, whether it be essay writing skills or any other relevant areas of study. Wollotuka provides assistance to both prospective and current Aboriginal and Torres Strait Islander students in seeking and applying for scholarships and accommodation, both within and outside of UON. This program encourages Aboriginal and Torres Strait Islander students, particularly final-year students, to develop attributes that will enhance employment opportunities after graduation. The Wollotuka Institute provides financial support for students to attend local, national and international conferences as well as short-term study abroad programs, overseas student exchange programs and workshops. For more information about Indigenous engagement see The Wollotuka Institute. Get information and support if you have a permanent or temporary disability or medical condition. Our disability support staff (called Health and Welfare Advisers) offer practical support and advice to students with a disability including lecture and assessment alterations, exam adjustments, library support, materials and equipment and mobility around campus. See the Current students web pages or email us to find out more about this service. Our Health and Welfare Advisers are on hand to assist and connect you to the right people for a range of issues while you are at university including disability support and student loans. These advisers can also link you with a counsellor to discuss any personal or study-related issues. This service is free and confidential and you can choose to have your session face to face or through online counselling support.